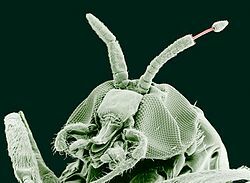 Parasitology is the study of parasites, their hosts, and the relationship between them. As a biological discipline, the scope of parasitology is not determined by the organism or environment in question, but by their way of life. This means it forms a synthesis of other disciplines, and draws on techniques from fields such as cell biology, bioinformatics, biochemistry, molecular biology, immunology, genetics, evolution and ecology.